Stress is the new smoking. It creates negative energy. The stress hormones kick in and stall metabolism, accelerate fat accumulation in the belly region, prevent the body from healing, inhibit proper digestion, absorption, and excretion, and affect your mood, skin, and hair health. So, try to stay relaxed and stress-free. Make it a ritual to spend some time alone and do things that you love the most. You should also take a break and travel, visit friends and family, meet new people, spend time with both the young and the young-at-heart or learn a new skill. Keeping track of your progress will help you understand if you are able to maintain the weight or are gaining weight and need to tweak your current lifestyle. 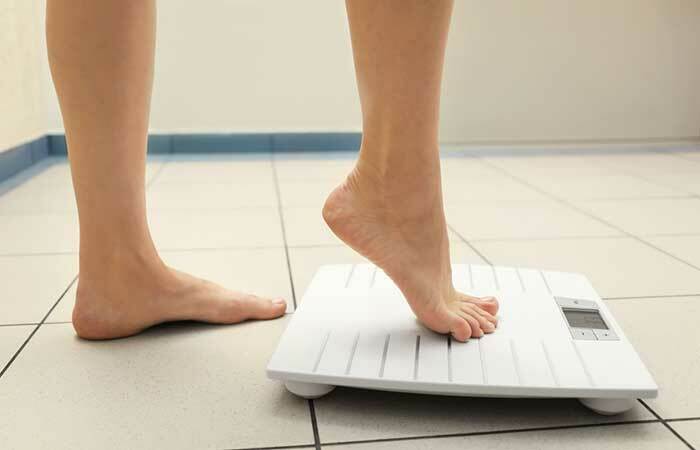 Weigh yourself every two weeks. You should also click pictures of yourself from different angles as a visual image will help boost your confidence and keep you committed. Also, measure your body fat percentage every month. Ideally, you should lose 1% fat every month. Talk to a registered dietician to find out what your body fat percentage should be and aim to get there.